Hotel Indigo Berlin East Side is the 100th global outlet for IHG’s Hotel Indigo brand. 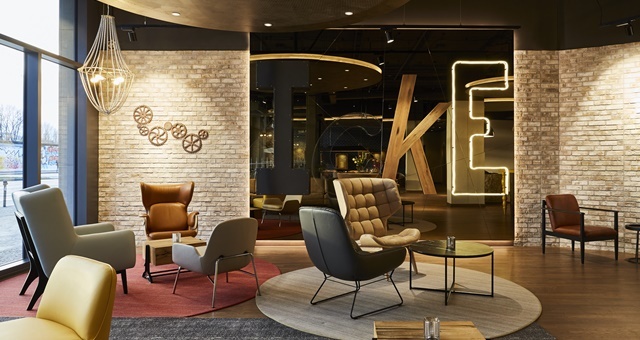 InterContinental Hotels Group has marked a company milestone this week, opening its 100th Hotel Indigo globally as it sets its sights on doubling the portfolio over the next 3-5 years. Hotel Indigo Berlin East Side took the brand’s global map north of 100, with the 118-room boutique property combining raw industrial architecture with retro decorations such as graffiti blocks inspired by the unique Trabi car. The boutique brand, founded in 2004, is the second-fastest growing brand in the accommodation industry behind the extended stay model. Hotel Indigo is present in more than 15 countries – with more than 50 in the United States alone – and has more than 100 hotels in its pipeline. With the current pipeline fully realised, ten more countries will be added to the brand’s network, including Australia. Hotel Indigo properties are currently earmarked for Adelaide Markets, Brisbane Fortitude Valley, Melbourne Docklands and Auckland, all opening in 2020 and 2021. “The appetite for reliable, yet unique, boutique hotels continues to increase around the world and Hotel Indigo is perfectly placed to take advantage of that growth. We provide guests with the best of both worlds – the promise of a design-led hotel with locally-inspired food and beverage, and the reassurance of a consistently upscale experience with the IHG name behind it,” said IHG Senior Vice President, Global Marketing, Upscale Brands, Eric Lent.